Ayurveda is an ancient health care system originating in India and dating back over 3000 years. The word Ayurveda is a combination of the Sanskrit words ayus, meaning life, and veda, meaning science. The basic belief at the root of Ayurveda is that the mind, body, and spirit are inextricably connected, and to separate these three aspects is to cause unhealthy imbalances. Unbalance leads to disease processes, so reintegration of the three aspects leads to recovery and health. Through the complex practice of surgical and herbal medicine, plus exercise like yoga, spiritual contemplation, meditation, massage therapy, and aromatherapy, Ayurveda strives to unite and balance the mind, body, and spirit. 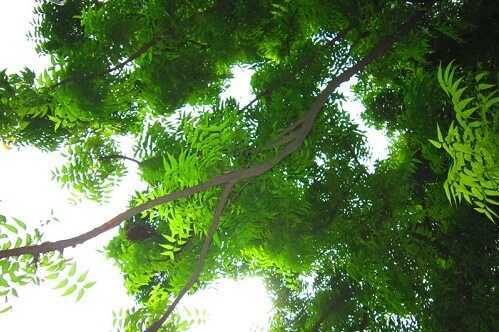 One of the most prominent medicinal herbs used in Ayurvedic formulas is Azadirachta Indica or the Neem Tree. This tree has so many beneficial ingredients in its leaves, roots, bark, seeds, and oil that it’s often called “The Village Pharmacy” or “The Wonder Tree,” and its Sanskrit name is Arishta, which means “reliever of sickness.” This traditional herbal medicine has come to the attention of Western medicine as well, and its benefits have been researched extensively. The results have been so positive that Neem has increasingly become a key ingredient in many cosmetics, toiletries, and pharmaceutical medicines. Neem is most commonly used in Ayurvedic formulas for treating infections, inflammations, skin disorders, degenerative diseases like diabetes and arthritis, heart disease, blood disorders, digestive disorders, nervous disorders, and even sexually transmitted diseases. Neem is one of the main ingredients in almost all Ayurvedic blood purification formulas and in many diabetic Ayurvedic formulas as well. It’s also used in India as a form of contraception and is famous for its use in oral hygiene—Neem twigs have been used for thousands of years in India for teeth brushing and cleaning gums. It’s now an active ingredient in several brands of toothpaste. Modern medicine has discovered many of the active ingredients in the various parts of the Neem Tree and what effect they have on the body. Nimbin and Nimbindin are fantastic antimicrobial substances, fighting infections caused by bacteria, viruses, fungi, and yeast. Nimbin and Ninbidol decrease fevers, and Gudunin is an anti-malarial as well as a vasodilator, which helps to treat some heart conditions. Sodium nimbinate works as a diuretic, which helps with urinary tract disorders. It’s also a spermicide. Azadirachtin and Salannin are both insect repellents. It seems incredible that one plant can do so much, but it’s hard to argue with 3000 years of experience. Ayurvedic practitioners and their patients have been using Neem with great success for so long that the validation in Western clinical studies seems redundant. As a traditional herbal medicine that is fast becoming a rising star in Western alternative medicine, Neem truly earns its reputation as the Wonder Tree.